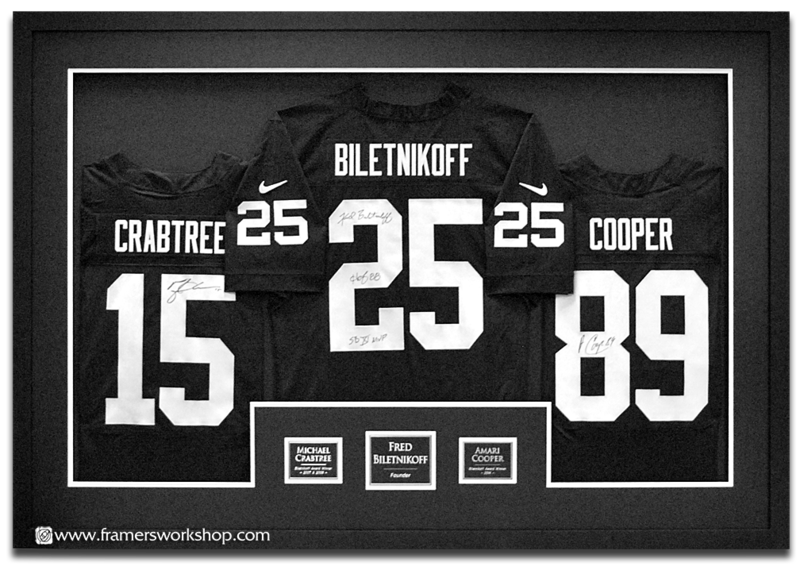 These three signed sports jerseys were framed as awards for the Biletnikoff Foundation. The jersey's are hand sewn to a black backing. 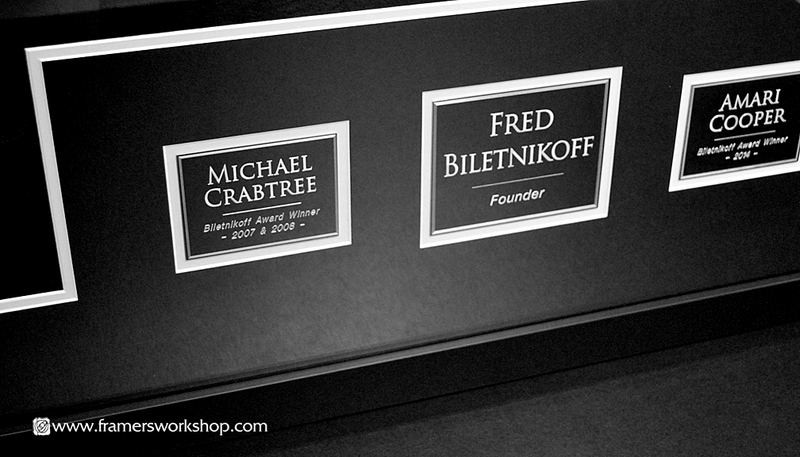 A shaped mat with extra openings for black and silver metal plaques is cut. Beneah it is a second, These upper mats are elevated to allow room for the Jerseys to rest comfortably within the black wood frame.